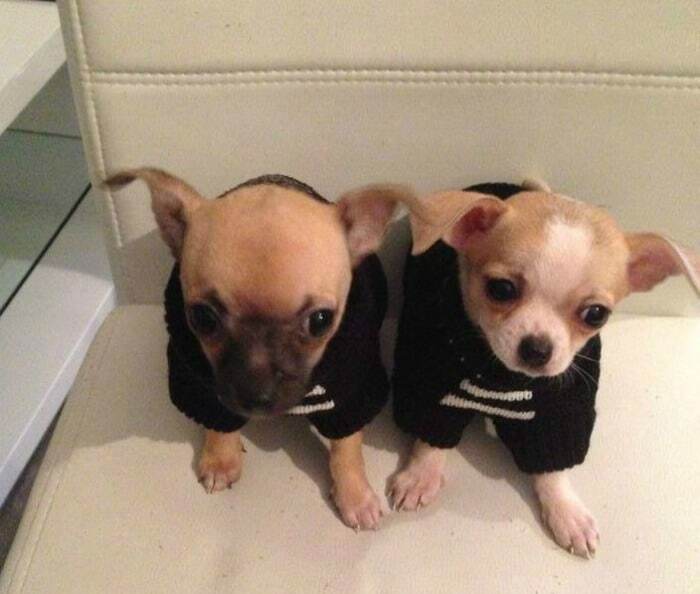 Bringing home a new dog, whether it is a puppy or an adult, is always a challenge. 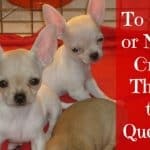 You need time to adjust to each other and for your new dog to learn the routines and rules of the house. Bringing in a new puppy to your house brings even more challenges. Puppies are babies. They are brand new world and need to learn everything. This article is meant to help you with the basics. 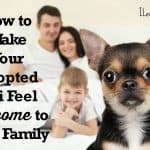 Bringing a puppy home is an exciting experience for you and your family. Be aware, your puppy may have just been separated from his mother and litter mates, or come from a rescue or county shelter with all the associated stressors and unpleasantness. He may not be as excited as you are and he may just need a comfortable bed in a quiet place or may need to be held and comforted. If you are going to crate train your puppy, now is the time to introduce the crate. You shouldn’t close the door, just give him the option of going inside. Make it inviting by placing a comfortable bed and a toy or two inside the crate. Dogs introduced to a crate early find it a place of comfort and security and have less difficulty being left alone in the crate while you are away. All dogs have different, unique personalities. Prepare ahead of time for his arrival and give him options once he comes home. You can read more here about crate training. 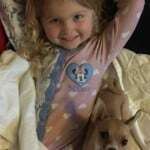 Getting your puppy to sleep, especially that first night, can be a challenge. This may be the first time he’s been separated from his dog family, or the company of other dogs in whatever facility he has come from. Before you and your puppy settle in for the night, make a habit of going for a walk. It doesn’t have to be a long walk, maybe just a walk to the corner and back. If you live in a pet friendly apartment or condominium, there is usually an area designated for dogs. The exercise will not only tire him, but it is a good chance to bond with him and begin training him on a leash from the outset. Leash training right away is key. If he is walking on a leash from day one, it comes more naturally to him than if you wait until he’s a little older. Before returning home, make sure he has spent a lot of time peeing and pooping. If you are going to crate train him, start the very first night. Once you have returned from your walk, get him settled in the crate right away. If you can, place the crate inside or near the door of your bedroom. He will most certainly begin to whine when put down and left alone. Prepare to get little sleep for the first couple of nights. Try to resist the temptation of getting up and holding him to comfort him. If he is tired, has some comforting toys (no squeaky toys!) a comfortable bed and maybe a small blanket to curl up with, he should settle in soon. Remember, he is a tiny puppy with a tiny bladder, expect to get up during the night to let him relieve himself. Puppies don’t usually eliminate in the place in which they sleep. Ideally, you have an outdoor yard or space and can get him outside in time. 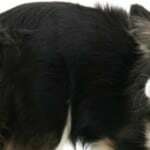 If that is not practical or is impossible for you, puppy pads placed near the door that you most often exit to go for your walks and where you expect him to go when he needs to go outside, are the perfect opportunity to start house training. It is never too early to start house training. Of course, this is the perfect scenario and is, most often, not the way things happen. You may need to leave training pads in numerous spots in the house. The goal is to reduce as many places to “go” as possible and eventually get to the door. We’ve just briefly touched on house training. It can take some time to succeed. 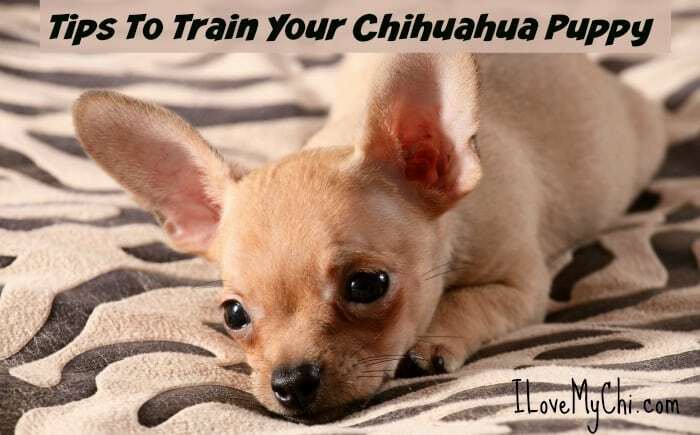 Chihuahuas can be difficult to house train and it can take a while. Consistency, patience and willingness to respond quickly to your puppy’s cues when he needs to go outside are the keys to success. Sometimes those cues can be subtle, but as you get to know your puppy, you’ll become familiar with the ways he tries to convey what he wants from you. 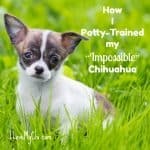 At times, it may be necessary to train your puppy to use puppy pads because you live in an apartment/condominium setting that makes it impossible to get outside before your puppy has the need to relieve himself. Some people have to live with puppy pads for the entire life of the dog. This is not optimal, but sometimes a reality. In this case, regularly change pads and keep the floor absolutely clean. Enzyme cleaners will clear the odor and a good disinfectant 2-3 times a week can keep the area sanitary. Socializing your puppy early is important. A puppy can become timid or fearful of people and other animals if not exposed to them early. When first meeting a new person and especially when meeting another animal, you should keep the puppy in a harness and on a leash in the event that things don’t go so well. 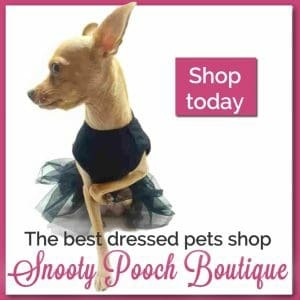 You want to make sure that your puppy doesn’t grow up to be shy or aggressive. Most people don’t like a dog that jumps up on them and your neighbors don’t like a yapping dog. Early socialization is the best way to teach your pup good manners. He will learn what to do and not to do easily from gentle voice commands and hand gestures well while he’s very small. Remember, you are the one he looks to for everything he needs. You are the alpha in this relationship and he has a natural desire to please you. It is beneficial to him when you are in a good mood. When he has done something that you really want him to learn, always remember to praise him, speak in an exaggeratedly happy voice and lavish him with treats. During early training, keep a pouch of treats in your pocket and be ready to give him a couple every time he does a positive or desired behavior. Whether or not you’ve asked for it or it is intentional. 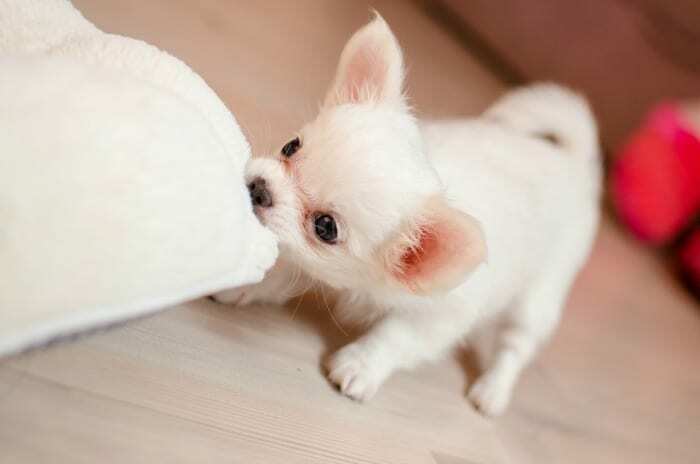 If you strongly discourage your puppy not to bark while at home or while you are out in public you may have success in keeping him quiet, even when you are not at home. A crate trained dog is less likely to bark when left alone. Again, his crate is his place of safety and comfort. Hopefully, this information has been helpful. Have a happy, long life with your new companion! How can I stop both my puppies from digging up or tearing up my potted plants. You can sprinkle some chili powder or red pepper in the dirt around the plant Maria. I can’t seem to find a harness small enough to fit my baby and I won’t use a collers because of the collapsed treckeia syndrome. I really want to leash train but he get out of the harness by jumping and pulling , so I have to find a smaller harness ? Any ideas where I can find one and I hope it’s not to late to train ? Get the smallest you can find and have someone make it smaller by undoing seams , cutting excess fabric and re-stiching. Or try a cat harness. Or maybe even a ferret harness. I saw those on Amazon too. 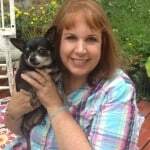 My name is Susan – I have had many dogs in my life and I lost my Chi and Yorkie two years ago – so I thought I would try again – I have a six month Chi named Gia -she is so cute but I realized I can’t give her the time she needs and I have developed health issues – Please help me find my baby the perfect home. Hi Susan. Sorry you arent able to keep your beautiful pup. 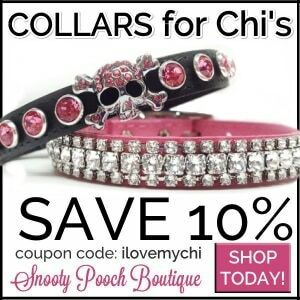 I also have a 5 month old female Chi – Lily Belle. I do know someone who is very interested in Gia. I live in central NJ, not sure where you are. Thank you!